Today is the first day of summer, which means one thing: Heat. For this week's Shooting Challenge, embrace the rise in temperature. Capture heat. Capture a photo of heat. And not the Miami Heat. I mean like, hot heat. Things high in temperature. What's odd about heat is that you don't really see it; you only see symbols of it. Sweat, melting...even heat lines...are all results of heat, not heat itself. So it makes perfect fodder for capturing a somewhat abstract concept inside a photograph, creatively, especially as the right shot of a sunburn can feel even hotter than fire. Choose your subject wisely. And compose and expose the photograph for one thing: Make us feel warm just looking at it. Our lead shot is by Robert S. Donovan. 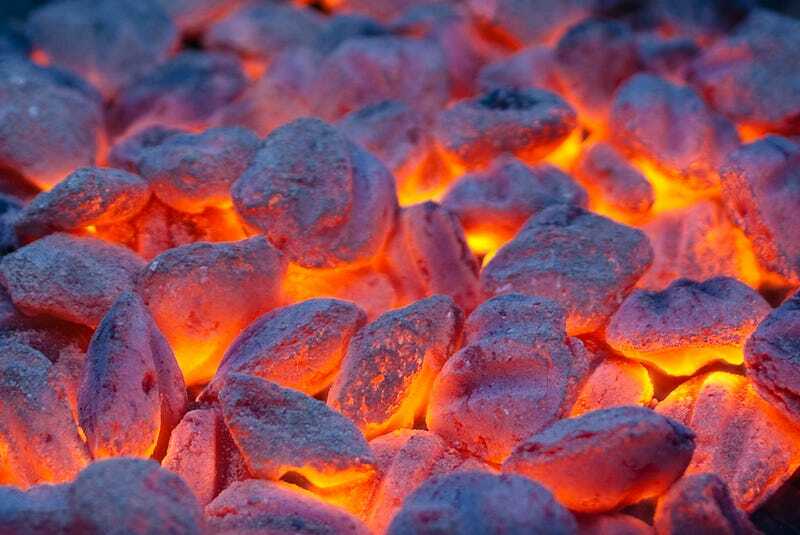 I love how the coals glow with an other worldly burn, as if they're hotter than your average coal, as if they're burning straight into your LCD. Send your best photo by Monday, June 25th at at 10AM Eastern to contests@gizmodo.com with "Heat" in the subject line. Save your files as JPGs, and use a FirstnameLastnameHeat.jpg (970px wide) and FirstnameLastnameHeatWallpaper.jpg (2560px wide) naming conventions. Include your shooting summary (camera, lens, ISO, etc) in the body of the email along with a story of the shot in a few sentences. And don't skip this story part because it's often the most enjoyable part for us all beyond the shot itself!